WikiLeaks has released a fourth batch of emails from Hillary Clinton’s campaign chairman John Podesta. They cover a number of issues highlighting the campaign's cozy relation with media outlets and more scathing remarks about the Bernie Sanders campaign. 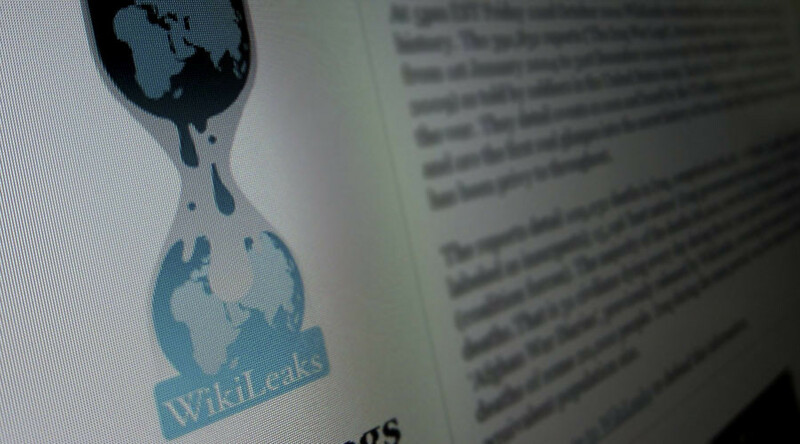 The latest leak contains 1,193 new emails and it comes just a day after the whistleblowing website released another batch of 1,190. As with previous releases, there are a number of emails discussing Bernie Sanders and his bid to be the Democratic presidential nominee. In an email dated March 20, 2014, Mark Siegel, a former executive director of the DNC, advised Tamera Luzzatto, who previously worked with Hillary Clinton, on how best to keep the “Bernie people… marginally on board." "If we ‘give’ Bernie this in the Convention's rules committee, his people will think they've ‘won’ something from the Party Establishment," Siegel wrote. "And it functionally doesn't make any difference anyway. They win. We don't lose. Everyone is happy." Also included is an email chain which followed the outrage over the Iowa caucus being decided on a coin toss back in February. 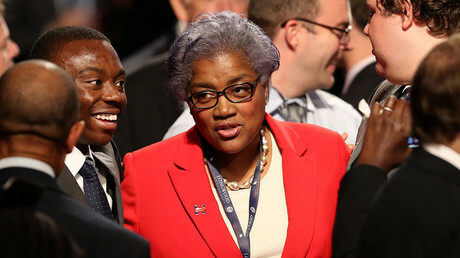 Tina Flourney forwarded CNN Director of Political Research Robert Yoon’s email explaining the format to Robbie Mook. “And now he's fundraising off of it,” Flourney said, referring to the Sanders campaign. “Yet again, they fundraise off of lies. Christina is pushing this around,” Mook replied. In January 2016, Clinton speechwriter Dan Schwerin emailed Jennifer Palmieri about handling Wall Street and Sanders in an upcoming speech, “In particular, she's keen to find a way to keep going after him on Wall Street [she's convinced his plan is naive and unworkable] as part of a broader indictment,” he said. “I liked messing with Bernie on wall street at a staff level for the purposes of muddying the waters and throwing them off their game a bit," she said. "But don't know that it is most effective contrast for her. Seems like we are picking the fight he wants to have." “We don't need to prove he's bad on Wall Street – that's not really credible. We need to prove we're ok. Most of all, we don't want this fight,” she added. In another example of the media’s cozy relationship with the campaign, a February email chain between Patrick Healy of the New York Times and the Clinton campaign with the subject line, ‘Hi Angel and Tina -- running stuff by you re Clinton/Trump’, discussed details of a story about how the campaign viewed Trump. 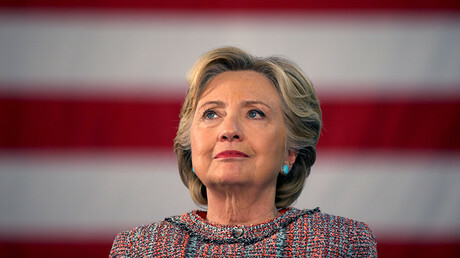 “We're told that President Clinton [like Mrs. Clinton and some other Dems] thinks that Trump would be a formidable opponent in the general election, and that Dems are in a form of denial if they dismiss Trump as a joke who would be easily defeated in November,” the email reads. The Clinton campaign was worried about the journalist’s plans to mention “President Clinton, like Secretary Clinton and some others, think Trump could pose a real threat in battleground states that President Obama carried in 2008 and 2012 – like Virginia and Ohio – and he will be competitive in Florida, Pennsylvania, Michigan, and Wisconsin." A December 2015 email from Mary Pat Bonner contains attachments listing the accomplishments of two organizations, Correct the Record (CTR) and American Bridge – which formally separated in May that year, but obviously continue to work together through Bonner. In a June 10, 2016 email exchange with Clinton’s special assistant Milia Fisher, Podesta is suggesting a better quote to go with a fundraising email – which is entirely based on a puff piece in the Washington Post, published the day before. The point of the story was that the campaign is so thrifty that Podesta and other staff take the bus. “You have my word that we're going to use your grassroots donations as wisely as we can to help make Hillary Clinton the 45th president of the United States. That means no luxury travel, no fancy office furniture, and no overpriced phone systems that we don't need,” goes the pitch. In another instance, an email from Huma Abedin to Podesta and other staffers highlights the campaign’s constant awareness of media optics. It also shows Bill Clinton as out of touch with the public regarding an anecdote he told claiming “somebody making $110k per year” would struggle financially. In a mail from Hillary’s campaign spokesman Josh Schwerin he warns Bill’s press secretary Angel Ureña about the potential damage the comment could do if used in public. An email from 2015 about the upcoming December 19 primary recommends the campaign removes a reference to Clinton visiting middle class homes from the planned talking points – due to the fact Clinton had not done that. “On the middle class tax cut. I wouldn't say ‘I've been in their homes,’” Grunwald said. “HRC has not really done a lot of that this year. Also, there is something pejorative about ‘the 'these’ in "these people don't need a tax hike."